Every moment is an unfolding of your eventual calling. I stared into the frustrated eyes of my friend last week as we talked about her calling to write. She has big, big dreams, and her dreams seem to be coming true far too slowly. I told her how much I understood. Stepping into my calling was a long time coming, too. My specific calling is to teach, speak and write. Your calling may fall into a myriad of other categories, but every calling is equally high when it's in obedience to the Most High. We're ALL called to ministry of some sort. My calling didn't materialize in a year. It has unfolded during the last 35 years, and each phase of that unfolding has shaped and re-determined the final product (which I know won't be final until my last breath!). Becoming a passionate teacher of young children. Investing years in my little boys' lives. Teaching adults as they chased dreams that passed them by in their teens. Visiting home after home as the "Welcome Wagon Lady" in my new town. Accepting invitations to speak at my church and others close by. 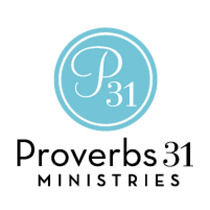 Joining the Proverbs 31 Ministries' speaker team. Returning to a frustrating year of elementary school teaching. Stepping in to my calling of equipping others in their calling. I've look at my list many times and thought, "Wow. I wasted a lot of years." But I've come to realize it's just not true. Every relationship, every job, every opportunity has prepared me. Psalm 90:17 reminds me that God establishes the work of my hands. 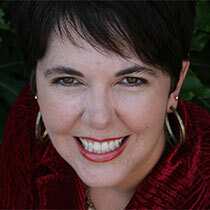 With each change, I've had an opportunity to view that next place as stepping into a calling. Sometimes I did. Sometimes I didn't. Every moment was an unfolding of my eventual calling. God used each stepping stone to establish the work I'm doing now. Don't despair today when you can't see it. Obey God and trust that He is working. His timing is so rarely ours, but it is always perfect. Instead of chaffing under the seemingly mundane, embrace each task as a building block for the dreams in your heart. Don't give up hope. I promise ... it's coming. Dear Lord, it's been difficult waiting as the years have come and gone without stepping into my calling. Please help me appreciate each seemingly mundane task and day as a means to you establishing the work of my hands. In Jesus' Name, Amen. Make a list of the "mundane" things and ask God to show you how He's using them to establish the work of your hands.